Enjoy your family vacation like never before in this incredibly spacious, newly remodeled 5 bedroom home! It is located in the Crescent Beach area on the corner of 28th Ave. South-just a few minutes of a walk to the beach! Enjoy the Ocean Drive Difference by starting your vacation immediately upon arrival, as this property comes with fresh bed linens/bath towels, the beds are already made up for you, and the departure maid service are all included in your price. With the spacious living area and the huge game room, it is a perfect fit for a large family gathering. The family will stay entertained with all the board games, card sets, foosball table and 1200 game arcade system – and that’s just on the inside!! The outdoor pool and grilling area will provide hours of fun in the sun for your family or you can use it to cool off for an evening swim after a day in the surf and sand. 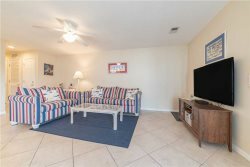 There is also a closet full of beach chairs, coolers and sand toys for you to enjoy while you are staying in this beautiful home! Myrtle Beach attractions and activities are just minutes away, while the unlimited dining options lie just down the road on Highway 17. Reserve your summer week now for the vacation your family will always remember! Serendipity is close to everything you love about North Myrtle Beach! Shopping, dining and attractions are just minutes away.